Hearing loss is something that affects approximately 360 million people worldwide. It can be caused by a variety of factors, ranging from a perforated eardrum or a malformation in the ear to allergies or an ear infection (hearingloss.org). One of the most common causes of hearing loss, however, is exposure to loud noise, also known as noise-induced hearing loss (NIHL). This kind of hearing loss can be caused by either one loud, intense burst of noise or frequent exposure to loud noise over a long period of time. People of all ages are affected with NIHL, particularly now with a combination of continuous earbud use and loud music. 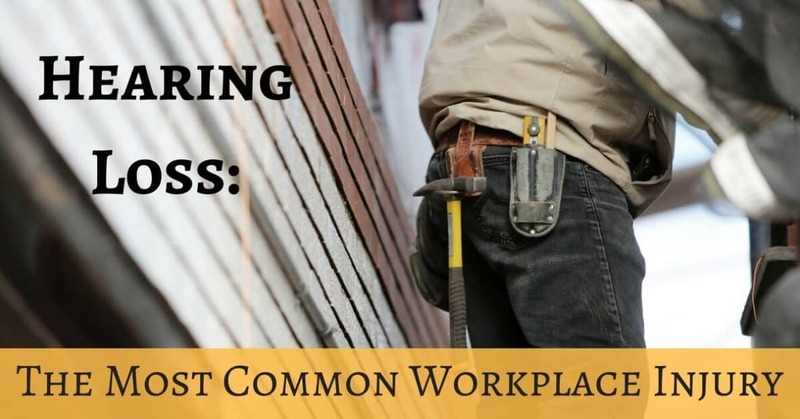 A recent article published by USA Today used statistics from the Center for Disease Control and Prevention to conclude that hearing loss is actually the most common injury that occurs in the workplace (for the full article, see here. Considering 37.5 million Americans experience hearing loss, it is somewhat shocking that 22 million Americans a year are exposed to hazardous levels of occupational noise. The industries most negatively affected in this regard are mining, construction and manufacturing. Earlier this summer, the Department of Labor launched a campaign called “Hear and Now”, which challenges the public to submit innovative technology and ideas to target workers and alert them to hazardous workplace noise levels. There is also scope for improvement on efforts to prevent and increase awareness about how noise levels can impact upon hearing. Some critics have questioned whether current regulations are up to scratch. Due to these concerns, the Occupational Safety and Health Administration (OSHA) is planning to issue a request for information later this year, which will focus on construction sites. This request is aimed at working out whether higher standards are required and whether companies are adequately complying with the current requirements. A study conducted by Mark Cullen of Stanford University, cited in the USA Today article, found that people who most often suffer from workplace noise-induced hearing loss are actually those working in moderately noisy jobs as compared with jobs in high-noise environments. The reason for this surprising conclusion is that, in high-noise environments, people are aware of the risks to their hearing, so they always wear hearing protection gear. In positions that involve moderate-noise, however, people are less likely to be aware of the risks posed by continuous exposure to noise and so do not take similar precautions. Another study that Cullen was involved in, however, also showed that if workers are made aware of the risks, they can be relied upon to voluntarily monitor their noise exposures on a daily basis, and the impact of this monitoring can lead to a reduction in personal exposure. It is therefore very clear that increased awareness is key to decreasing the prevalence of hearing loss in the workplace. Mark Cullen advocates for training of employers, as many employers simply provide hearing protection gear, which is often taken off by employees when they are unsupervised. Cullen also cites solutions such as building noise barriers. While some companies may consider training or construction of barriers to be costly, approximately $242 million is spent annually on worker’s compensation related to hearing loss, so it appears that the initial costs would significantly outweigh the long-term impacts of lesser protection. If you think that you may be experiencing hearing loss, either through exposure to noise at work or for any reason, the audiologists at HeaRite are here to help. We pride ourselves on our client focus and great customer service, and we can ensure that we will support you every step of the way. Contact our team today for your hearing evaluation or fitting. Do you have hearing loss caused on the job? Reach out to our friendly team. We look forward to hearing from you.